The disbursement of foreign direct investment (FDI) in the first five months of 2018 was estimated at US$6.75 billion, up 9.8 pct year-on-year, according to the Foreign Investment Agency under the Ministry of Planning and Investment. 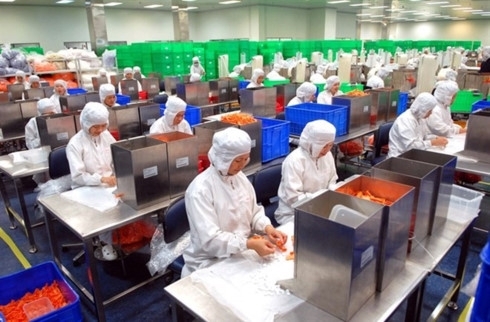 As of May 20, Vietnam granted new investment licenses to 1,076 FDI projects with a total registered capital of nearly US$4.66 billion, up 14.6 pct in volume but down 16.8 pct in value. Experts attributed this year’s decline in the registered capital to the reason that the first five months of 2017 saw some new large-scale projects licensed while those already operating with high capital also expanded their investment scales. As many as 393 existing projects registered to increase capital by a total of nearly US$2.5 billion in January-May, raising total newly-licensed and foreign investment capital increase to about US$7.15 billion in the five months, an annual decline of 30.8 pct. The Republic of Korea retained its position as Viet Nam’s leading source of FDI with US$2.63 billion, accounting for 26.5 pct of total investments in the country, followed by Japan with about US$1.52 billion or 15.4 percent, and Singapore with US$1.11 billion or 12 pct. Among 53 localities, Ho Chi Minh City lured the largest FDI in the five month period, with US$2.93 billion, accounting for 24 pct of the total FDI registered in the country. The northern port city of Hai Phong and the capital city were the runners-up with US$1.07 billion or 11 pct and US$835 million or 8.4 pct, respectively. The country remained an attractive destination for foreign investors in 2017 with a total registered FDI capital hitting a record of US$35.88 billion, up 44.4 pct against last year. The most attractive sectors were manufacturing-processing industries, electricity production and distribution and real estate. 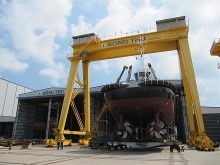 Under the strategy, which was drafted with the support from the World Bank, Vietnam will also shift from luring appropriate investors for Vietnamese products to develop suitable products (including business environment and appropriate investment conditions) for the kind of investment that Vietnam needs in the future. 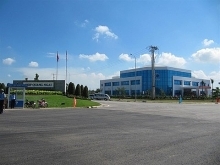 WB experts said that the country has a number of new priority areas such as automobiles, motorbikes and supporting industries, machinery, industrial equipment, logistics, high-value agricultural products, environmental technology, renewable energy, information technology application services, financial and education services.